Why Not Learn Cartoon Animation Software the Easy Way? Want to learn cartoon animation software? Jeff Maksuta is your man! Want to learn cartoon animation software? Meet Jeff Maksuta, the new mentor of the Pencil Kings Community Animation House. With years of teaching experience under his belt and an infectious enthusiasm for making art, he’s the go-to guy for just about anything you need to know about 2D animation software or traditional animation. And, in this week’s podcast, he explains how you can get started as an animator and learn the in-demand skills you need to land a career in this exciting creative industry. Jeff Maksuta launched his creative career around 10 years ago, when his professor at college introduced him to animation and graphic design. Feeling inspired, he subscribed to the animation website, New Grounds, where famous artists and game developers such as Jazza and many others got their first big break. After taking a college course to learn the animation software, Flash, and other programs such as Photoshop, Jeff pursued a career as a graphic designer before eventually decided to specialize in animation some years ago. 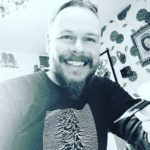 As leader of the new Pencil Kings Community Animation House, Jeff is keen to help beginner artists get started with animation and has lots of exciting projects in store to help you get the most out of your creativity. His first project in the Pencil Kings Community Animation House is an ‘animatic’ – a moving storyboard, where members will have the choice of taking a script or the lyrics of a song and creating some animated visuals. Members can work in any medium they like, including hand-drawn animation, Flash (now called Adobe Animate CC), or free software such as Blender. After that, you’ll study some reference videos on animation, before moving on to create your own stories and your first two-minute animation film. Thanks to his years of experience as a teacher, Jeff has got all the knowledge to help even complete animation newbies get started. So, even if you’ve never animated anything or used computer software before, you’ll soon have the skills to create your first short film. I do not follow Facebook, Twetter ,or G+ will that cause a problem ? Hi Calvin, that’s no problem at all. Just join the Animation House in the Pencil Kings Community and you’ll be kept up to date with all the projects 🙂 Just ask if you have any questions!